A hi-tech country needs to make hi-tech products. The government is putting its political and financial capital behind modernizing the economy, but it also needs to find innovative goods the rest of the world might want to buy. An ultramodern complex in the Moscow region will be home for Russia’s Silicon Valley. 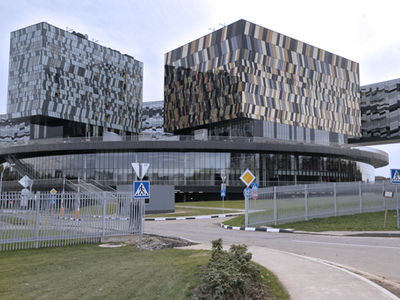 In 2011 the government may invest $500 million into the Skolkovo centre and within the next 7 years Russia wants to become the world leader in innovation. But for that to happen talent needs to be nurtured and harnessed such as that belonging to this 15 year-old Muscovite – Denis Skok.He is working on developing new aids to help the impaired. The head of Rusnano, Anatoly Chubais, was more cautious and preferred not to unveil details of their breakthrough projects but assured that there were at least three that could change the world. And it was this sense of exiting potential that was attracting a new wave of private capital to come to Russia. The top 5 sectors prioritized to drive Russia's modernization are energy efficiency, nuclear and space technology, medicine, telecommunications and IT. But some of the most interesting projects have universal appeal and cut across all areas of the economy and society. Both scientists and businessmen agree that finding talent in Russia is not the major problem. The Skolkovo research group has already found many exciting and innovative candidates. The trick will be to harness that entrepreneurial energy to produce goods that will make the whole world sit up and take notice and then get out its wallet.